FREE Disney Dining Plan Offers are back! Now Disney Rewards Visa Card Holders can book a Walt Disney World Resort Vacation Package including Hotel Room and Tickets and receive a Disney Dining Plan for FREE for stays between August 25 - September 29, 2012. For many families this is the best Disney World Discount that you can get, so don't pass it up! If you choose a Vacation Package including a stay at one of Disney's Value Resorts and Magic Your Way Park Tickets you will receive the Disney Quick Service Dining Plan for the length of your stay for everyone in your party. If you choose a Vacation Package that includes a stay at a Disney Moderate, Deluxe, & Deluxe Villa Resort and Magic Your Way Theme Park Tickets you will receive the Disney Dining Plan for the length of your stay for everyone in your party. Book This Great Deal Now! 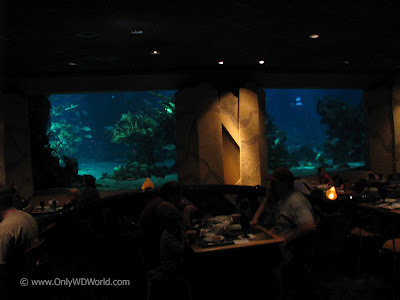 1 comments to "FREE Disney Dining Plan Offer For Disney Rewards Visa Cardholders"